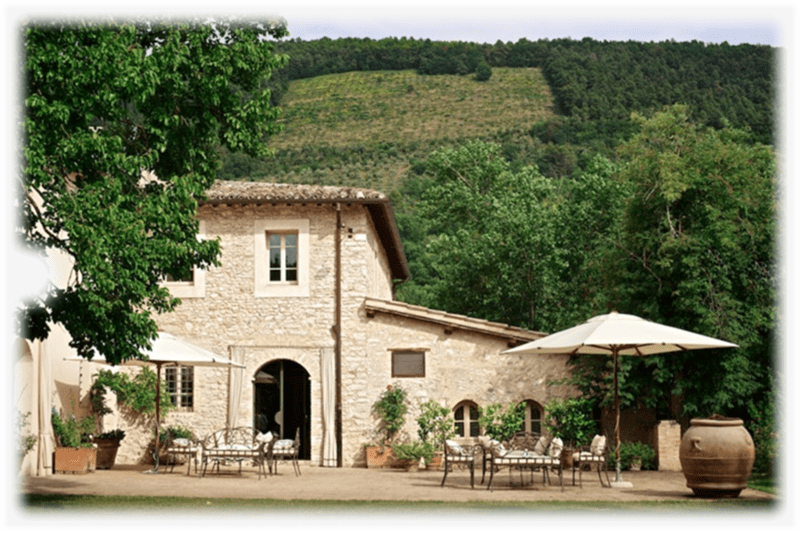 Join Joan and Gilah in gorgeous Umbria where connecting with nature, reveling in beauty and la dolce vita are alive and well. Known for its medieval hill towns, dense forests, and local cuisine, Umbria was also the crossroads for ancient medieval and Roman culture and art. The charm of Umbria can be found its unique fusion of art, nature, food, spirituality and peacefulness. 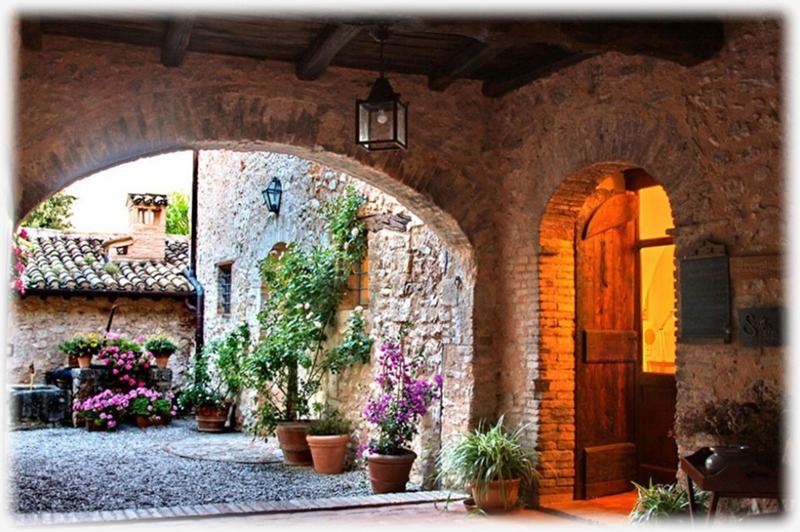 Here, we will savor sacred connections between our inner nature and the sacred nature of Umbria. This retreat is limited to 20 participants. 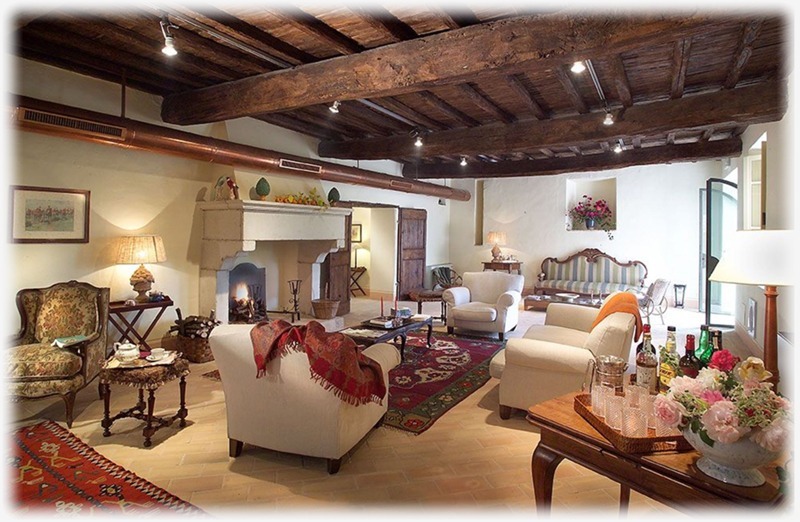 Join us for a magical experience in the Italian countryside of Umbria. Our retreat will be a uniquely peaceful and deepening experience, as we are embraced by the sacred energy of the ancient landscape. In the autumn season, the golden light, fresh morning air and the smell of ripening olives, home-cooked food, and the best wine in Italy create an unforgettable and profound experience. 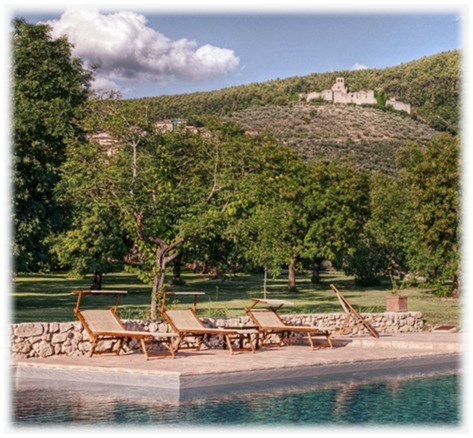 Our retreat includes daily mind-body practices, seasonal local meals, guided trips through the surrounding region, and a delightfully indulgent and restful stay in the Borgo della Marmotta resort. 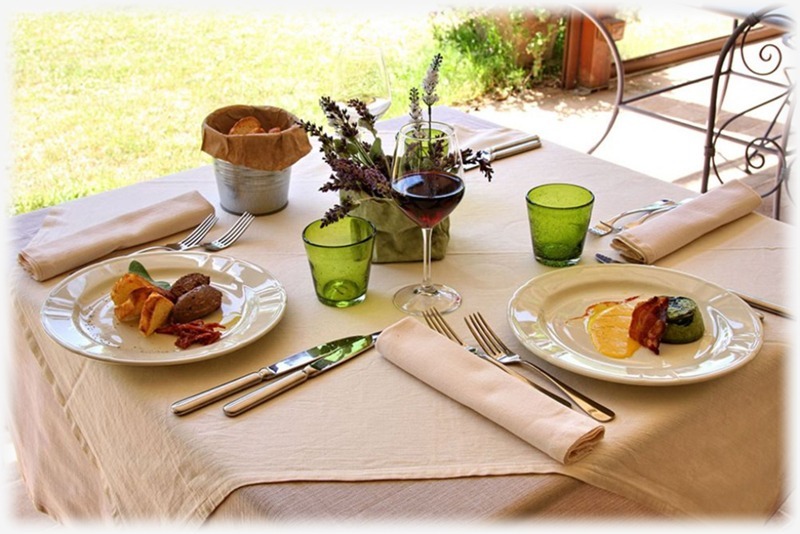 Discover the pleasures, treasures and tranquility of Umbria in an authentic slow food, slow living Italian setting, that is easily accessible from Rome. 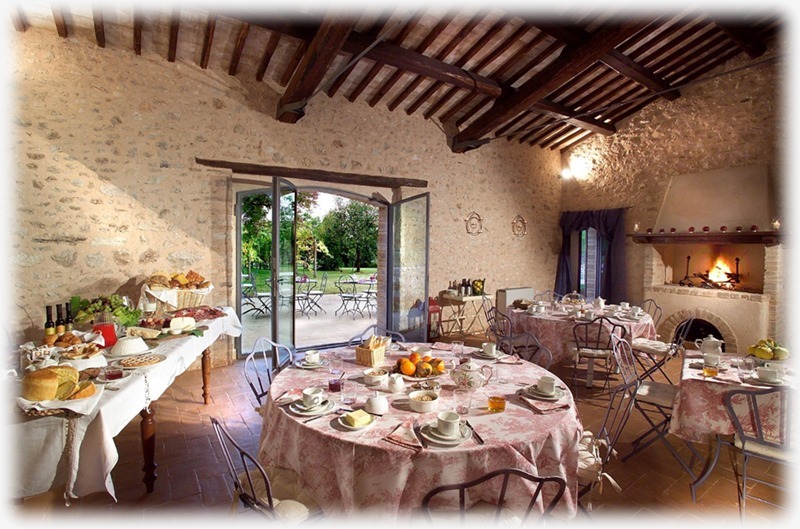 As if you’ve stepped back in time into an Italian countryside dreamscape, you will love lounging in the cobblestone courtyards, wandering in the exquisite grassy valley underneath ancient trees, soaking your body in the modern pool, and dining outdoors, family-style, amidst the beauty of nature. This serene setting affords us the opportunity to move slowly, rest deeply, and drink in the spiritual ambiance of the Spoleto Valley. Imagine enjoying a peaceful meditation accompanied by the sounds of local church bells. The resort offers a communal living room, dining room with fireplace, yoga practice spaces, and shop with local organic goods produced in the valley. 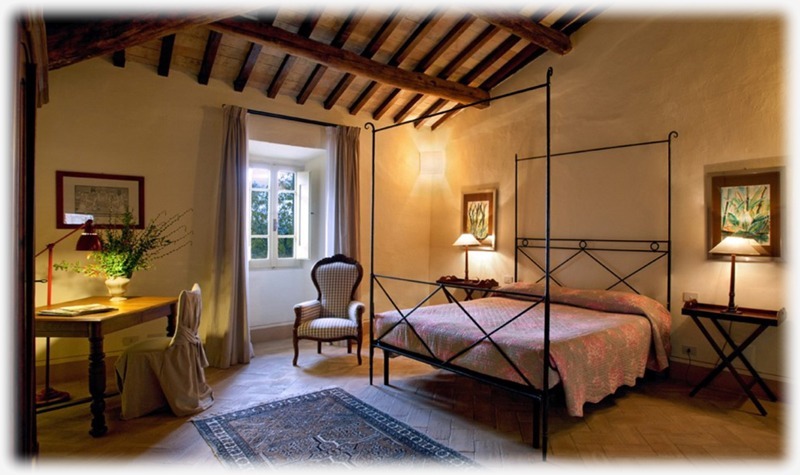 Borgo della Marmotta is situated in the small village of Poreta, outside Spoleto, in a valley rich with castles, medieval villages and panoramic views that will stir your senses and fill your heart. You’ll be pampered and well-fed… body, heart & soul. Our retreat will include ample time to rest deeply, dine at leisure, self-reflect and enjoy the company of the like-hearted people who accompany us on this journey. We will immerse ourselves in the flow of our experiences – mindfully exploring daily life as our spiritual practice. Our leisurely pace will allow us to cultivate deep awareness of our inner and outer landscapes, as we awaken to the beauty all around us, and within. 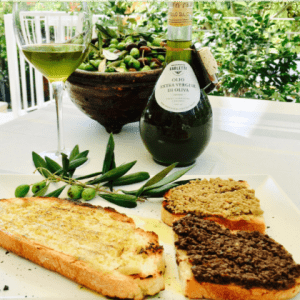 The rustic cuisine of Umbria is all about fabulous flavor and simplicity, using local, seasonal farm-fresh ingredients including vegetables, fresh herbs, ancient grains, olives, truffles and lots of Umbrian ‘liquid gold’ – the region’s much-coveted olive oil. Farm fresh meats, artisanal cheeses and crusty breads are hallmarks of the region. It is true that some people with gluten intolerance can eat the pasta here because it has been made with “non-genetically” modified wheat. Also we have had many folks who do not drink. That does not mean that understanding the traditions behind the wine and olive oil making process aren’t interesting. 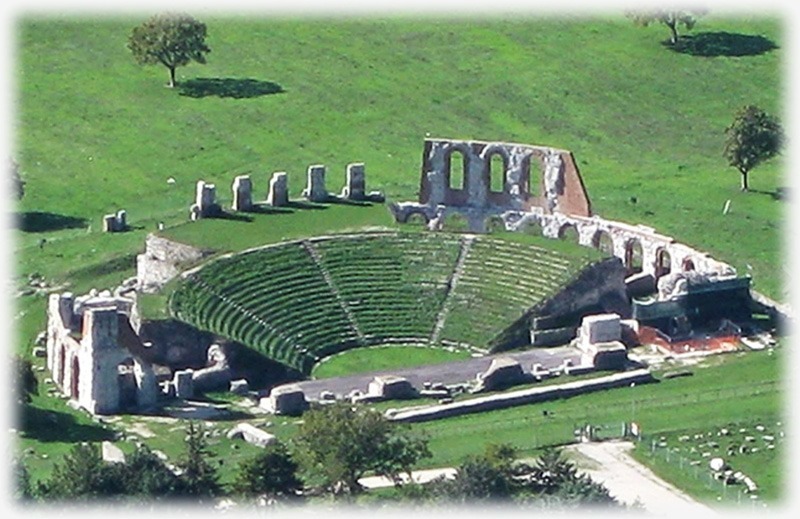 We’ll be visiting sacred sites in Assisi, and other medieval hill towns. Umbria, the spiritual green heart of Italy, inspired legendary figures such as Saint Clare and Saint Francis of Assisi. We will visit Santa Maria degli Angeli, where the first church of the Franciscan Order still stands, as well as the lovely historic city of Assisi with its beautiful frescoed Basilicas. 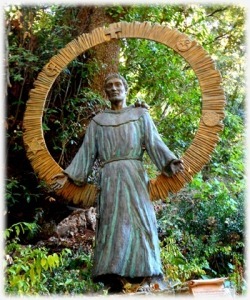 We will enter the sacred woods and grottos of Monteluco, in the ancient forest of Umbri, where St. Francis, or San Francisco as the locals know him, as well as many pantheists before him encountered Nature in a deep and intimate way that encouraged loving relationships with the earth and with the divine. 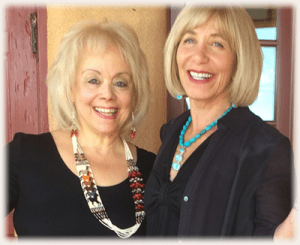 Along with exploring the heart and culture of this incredible region, Joan and Gilah will help you embody these experiences through mind-body-spirit practices, meditation, journaling, rituals and other engaging activities. the pantheists and the ancient Umbrians before him, all who reveled in the beauty, peace and spirit of this precious green land. 6-nights luxurious accommodations in a gorgeous room or suite. 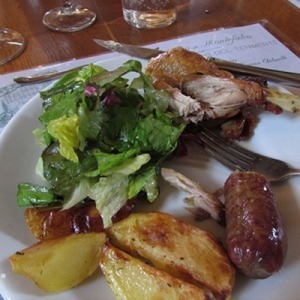 3 delicioso regional and seasonal meals prepared by a local chef especially for us. On travel days, restaurant meals lunches are included. Transport from the Spoleto train station for those arriving by train from Rome. All ground transportation for outings in Italy. (Alternative arrangements can be made but are not included in the package). Daily mind-body practices, meditations and rituals with Joan and Gilah, journaling and interactive experiences. Introductory talks about Umbrian spiritual and mystical history. A visit to the sacred woods at Monteluco, the grotto and Sanctuary of Saint Francis. 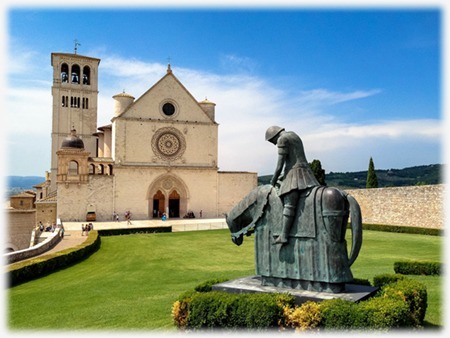 Guided tour of the Basilica of Saint Francis in Assisi and the Basilica of Santa Maria degli Angeli. 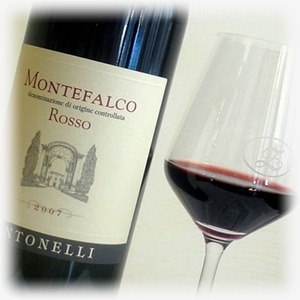 A wine tasting and lunch outside the hill town of Montefalco at the famous vineyard restaurant of Antonelli San Marco Winery. A walk through the medieval town of Bevagna, and shopping with a trip to the artisanal cashmere store, Tasselli. An excursion to the most beautiful city in Umbria, Gubbio, including lunch. 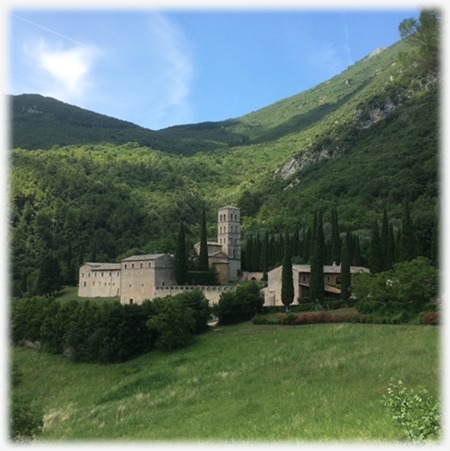 Hike to the remote Hermitage of Santa Maria Giacobbe. Time for personal reflection, deep rest and free time. 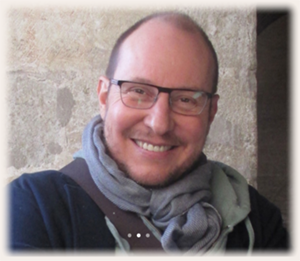 Retreat organizer and host in Umbria, Lex Ulibarri, with access to local sites, olive oil mill, winery, local stores, and resident artists. This retreat does not include airfare. You’ll fly into the Leondardo Da Vinci-Fiumicino airport in Rome. Please note: This retreat requires a fair amount of mobility in order to engage in walks in towns and the countryside. 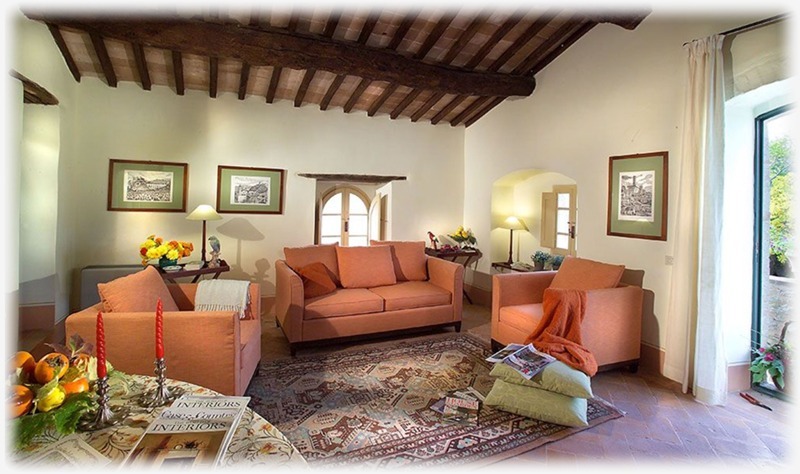 We encourage you to stay at least a few more days to see nearby Perugia or Spello, to travel to adjacent Tuscany and Florence, or spend a few days in Rome. $2495 per person double occupancy in “shared suite”. You will each have your own sleeping space, and share a bathroom. Bring a friend, or if possible, we will pair you with a suitable roommate. 10% couples discount (same household). Will be applied after Registration. Price includes lodging, all meals, local transportation and full program. For this small exclusive retreat with Joan & Gilah, payment in full is due at time of registration to secure your spot. Please note: The program fee is non-refundable until we are able to fill your spot with a new attendee. After August 1 no refunds will be given. We reserve the right to cancel retreat up until 45 days prior if there is a concern with lack of reservations, and in that case, full refunds will be made. Joan Borysenko, PhD is a world-renowned expert in the mind-body connection. A licensed psychologist and a Harvard-trained cell biologist, Joan synthesizes cutting edge science with deep humanity. Author of 16 books including her groundbreaking work, the New York Times bestseller, “Minding the Body, Mending the Mind,” and numerous audio and video programs for meditation and stress management, Joan’s warmth and credibility plus her lively sense of humor make her one the most popular and sought-after speakers in the fields of health, healing, and spirituality. Gilah Rosner, PhD has decades of experience developing, implementing and directing educational programs both in medicine and in spiritual communities. While serving on the faculty of University of Pittsburgh Medical School in pathology and molecular genetics, Gilah’s interests turned to spirituality and healing practices. Since then, Gilah has served as a Pastoral Care intern, a creator of rituals, founding member of a women’s spirituality center, Education Director in a synagogue, teacher of Kundalini yoga and Kabbalah, and as a vegi-centric caterer and a clinical herbalist.